The piano is the most complex musical instrument ever made—maintaining its value requires the skill of a qualified technician. Like any great investment, your piano requires maintenance. The piano is the most complex musical instrument ever made—maintaining its value requires the skill of a qualified technician. Keeping your piano in top shape will enhance the sound quality and have a drastic affect on its performance and longevity. The qualified technicians at San Mateo Piano will provide you with a maintenance schedule that will preserve your instrument and save you from costly repairs in the future. Whether you need routine maintenance or a piano rebuild, San Mateo Piano takes pride in caring for your instrument and will provide your piano with the quality service it deserves. If you are looking for a piano technician or your piano needs a tune-up, call us today at 650.376.3812 to schedule an appointment or use the online contact form! We look forward to hearing from you! Piano tuner San Mateo, Piano Tuner Bay Area. 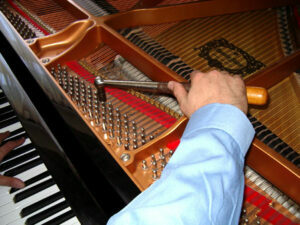 Our Piano technician service the whole Bay Area.